Eldon is a manufacturing company providing enclosure solutions. Eldon products are manufactured in two state-of-the art plants in Romania and India. Eldon’s head office is in Madrid, Spain, and the company also has sales offices in dozens of countries globally. 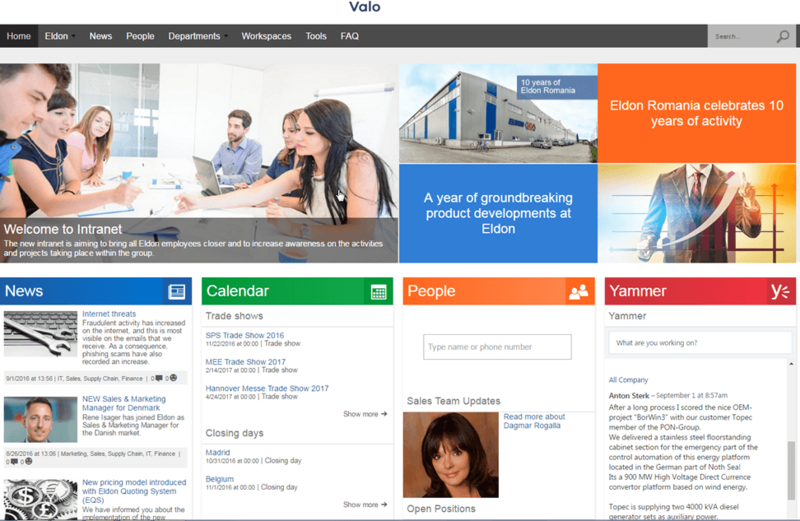 “Thanks to Valo Intranet’s key-ready nature, we were able to launch a world-class social Intranet for our people very rapidly and with a low cost, integrating many of the great features available in the Office 365 platform. 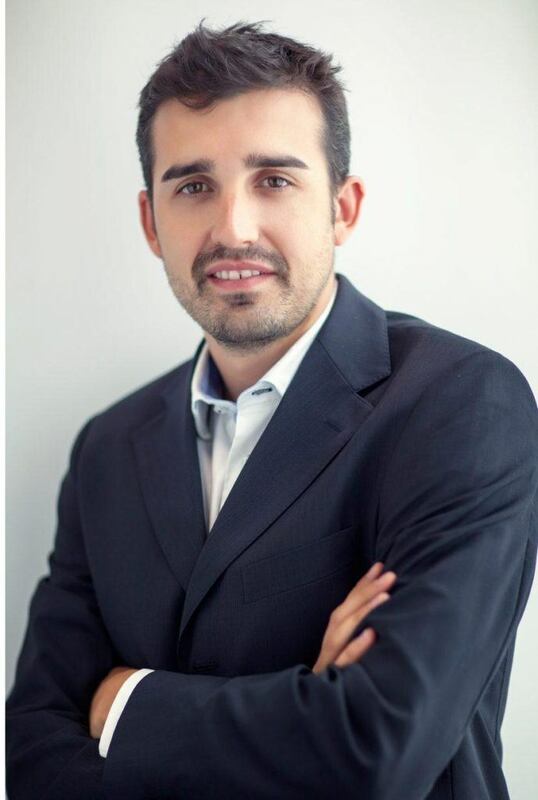 We can now focus our attention on the more complex tasks, such as transforming the ways of working and creating exciting contents for the Intranet.” says Eduardo de Juan, Eldon’s Marketing & Sales Operations Manager. The deployment itself was a breeze; We were able to start using our new SharePoint Intranet in less than one week from project start. Eldon has opted for the so-called Fresh subscription from Valo. This means that they will get the frequent updated of Valo Intranet.  So Eldon’s Intranet will stay fully functional and always aligned with the Microsoft roadmap, something that is especially important in the rapidly changing Office 365 platform. 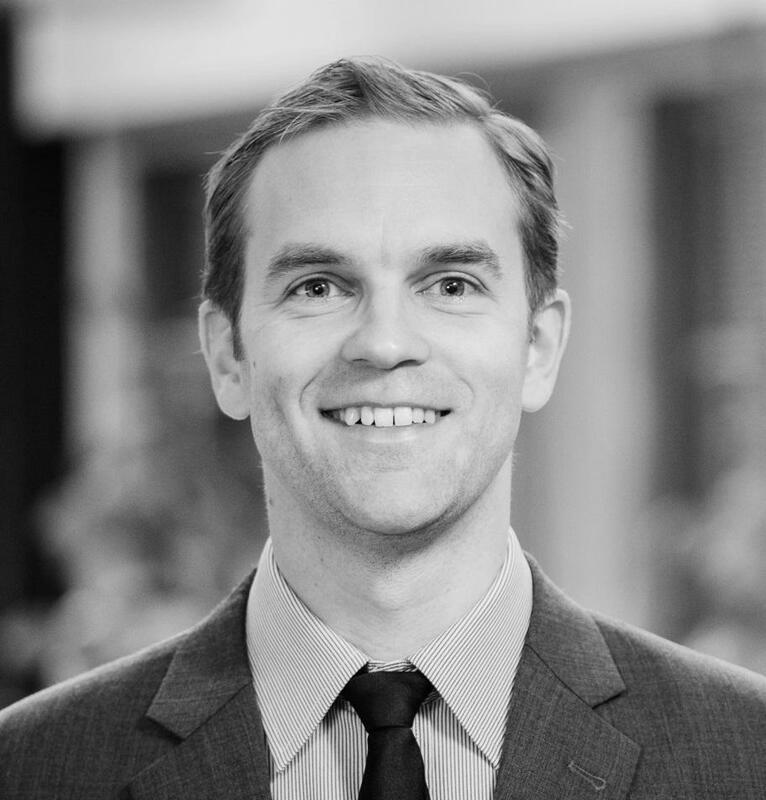 “Our Valo Fresh customers are making the most out of our dedicated team and the centralized nature of Valo”, emphesizes Juha Koivula, Product Manager with Valo Intranet. Eldon’s Intranet will stay fully functional and always aligned with the Microsoft roadmap.  “We maintain a close relationship with Microsoft’s SharePoint team and align the product with Microsoft’s new releases proactively. And whenever any of our 300,000+ existing users report an issue or an idea”, he continues, “we will update the product accordingly. As an end result, every customer will benefit”.